A worker looks at a pump jack at an oil field Buzovyazovskoye owned by Bashneft company north from Ufa, Bashkortostan, Russia, July 11, 2015. Oil prices fell in early trading on Monday, pulled down by rising economic concerns in Asia and a related strengthening in the U.S. dollar, which makes fuel imports for countries using other currencies more expensive. International Brent crude oil futures fell back below $50 per barrel, trading at $49.89 at 0127 GMT, down 65 cents, or 1.29 percent, from their last settlement. U.S. West Texas Intermediate (WTI) crude was down 78 cents, or over 1.5 percent, at $48.29 a barrel. ANZ bank said that oil was being pulled down by a sharp reduction in risk appetite and a “U.S.-dollar and treasuries rally”. The dollar has recovered some 1.3 percent from June lows against a basket of other leading currencies, pushed by the prospect of a potential hike in U.S. interest rates and by concerns over Asia’s economy, which is dragging currencies there. A stronger greenback makes dollar-traded oil imports more expensive for countries using other currencies, potentially hitting demand and weighing on prices. But the main concerns in oil markets was Asia’s darkening economic outlook. Japan’s business survey index (BSI) of sentiment at large manufacturers stood at minus 11.1 in April-June, compared with minus 7.9 in January-March, according to a joint survey by the Ministry of Finance and the Economic and Social Research Institute, an arm of the Cabinet Office. There are also worries about growth in China, largely due to industrial overcapacity and spiralling debt. With Asia’s economic growth outlook darkening, many oil speculators have sold out of long positions which have been profiting from an almost doubling in crude prices since hitting over decade lows earlier this year. Hedge funds and other big speculators cut their net-long, or bullish, position in U.S. crude this week for the first time in a month, trade data showed on Friday, indicating concern the oil market may not be sustained at $50 a barrel. Despite this, some analysts expect oil demand in Asia and especially China to remain strong. 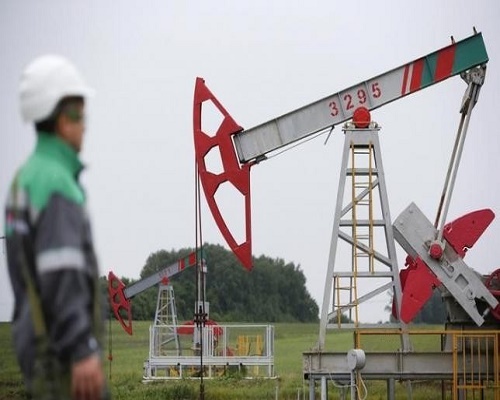 “Against the backdrop of low international oil prices, Chinese crude oil demand will remain well supported this year as demand continues to gain traction from stockpiling activities and refining use,” energy consultancy FGE said in its June outlook. “We expect Chinese crude oil imports to grow by 730,000-760,00 barrels per day this year,” it said. It added that “elevated Chinese crude oil imports will no doubt help to support the global crude oil market”.